The travelling WWALS booth will be in Quitman, Georgia, this Saturday at the Skillet Festival. 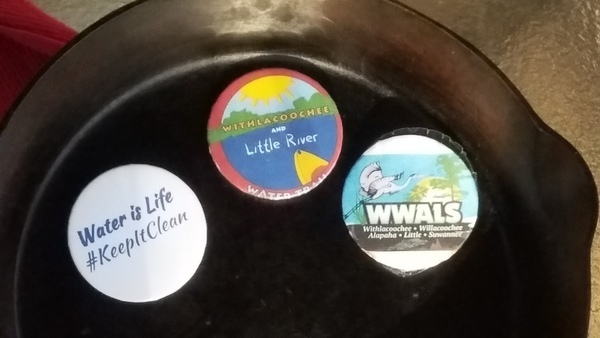 We will have buttons and stickers (WWALS, Suwannee Riverkeeper, Water Trails, Water Is Life) and the raffle kayak. If you like, bring a piece of cast iron for WWALS to raffle off, as well. 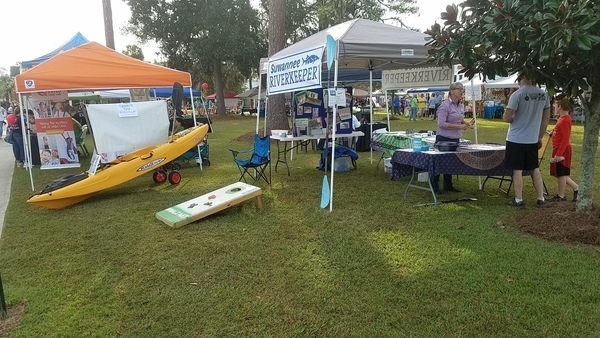 This entry was posted in Festival and tagged Brooks County, conservation, Festival, frying pan, Georgia, kayak, Little River, north Florida, Quitman, raffle, river, skillet, south Georgia, Suwannee Riverkeeper, watershed, Withlacoochee and Little River Water Trail, Withlacoochee River, WLRWT, WWALS, WWALS Watershed Coalition on October 18, 2017 by jsq.